I'm lazy about my hair. 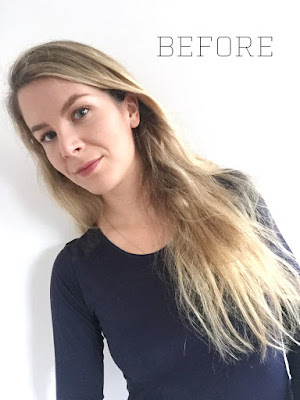 It might be a French thing - while we do spend a lot of time in the hairdresser's chair, I find that we tend to keep our hair natural on a day-to-day basis. 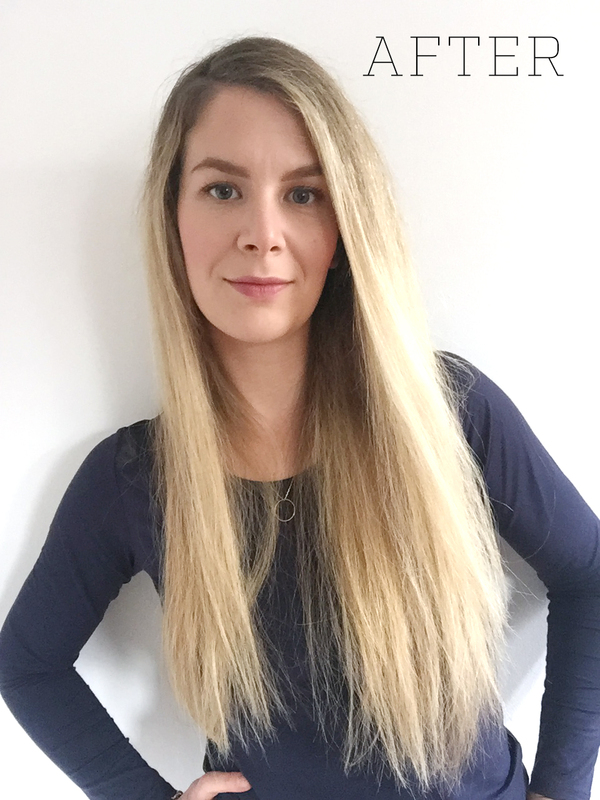 I fought with my hair's natural texture for years as a teenager. I hated that it had so much volume and so much wave to it. While I have not completely made peace with it, I keep it natural for the most part - mostly because I don't have time to do anything to it - but I do like it better a bit "tamed". I have a lot of flyaways and baby hair, especially since having my son, and have resorted to straightening it more often, if only to make it look sleek in a bun. I have been curious about hair straightening brushes ever since I saw the first ones popping up on the market, so when I was offered to review the Irresistible Me Jade Tourmaline Straightening Brush, I didn't hesitate. 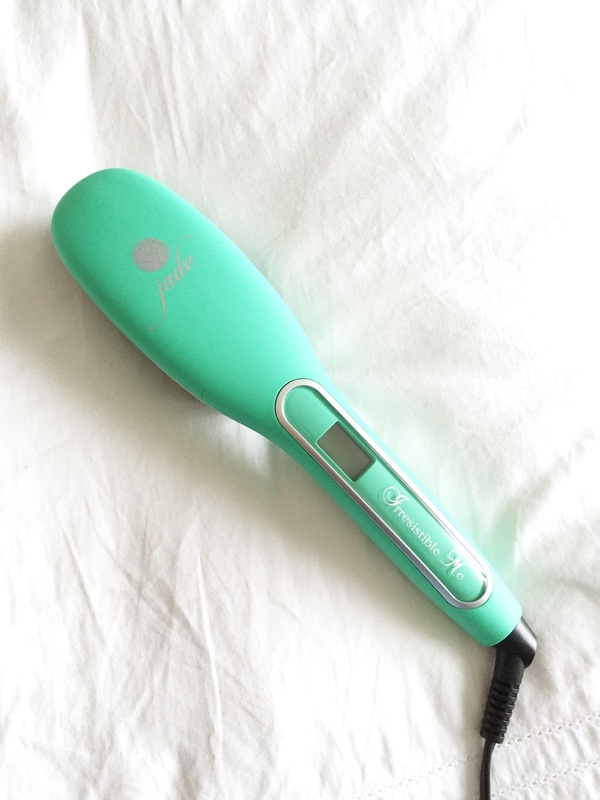 The brush has a heating surface made of ceramic and tourmaline and is supposed to help straighten your hair faster and more easily than a regular flat iron. 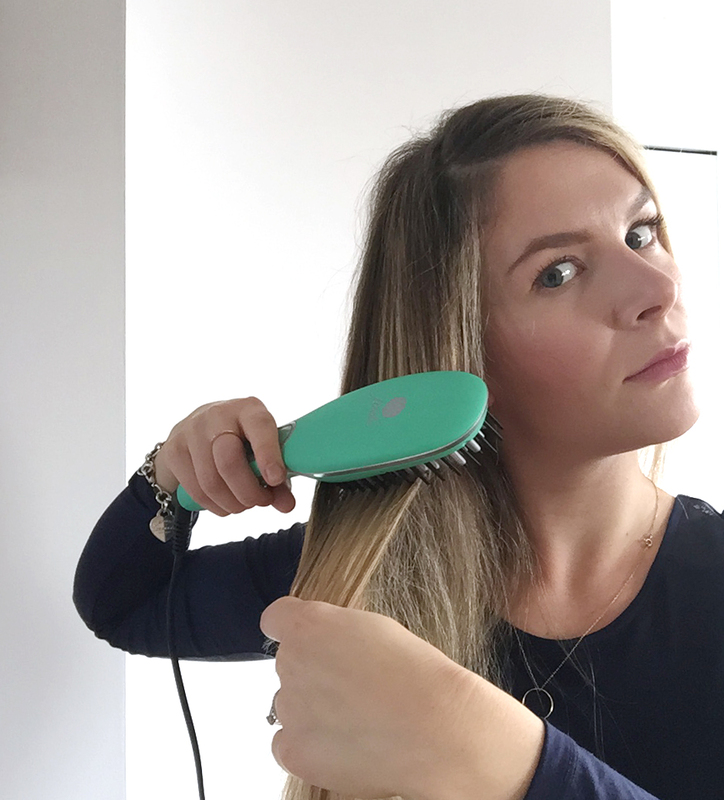 It is designed to be used like a hair brush / flat iron hybrid : basically just brush your hair slowly, making sure to catch each section of hair. I used it a few times and found some great and not so great aspects to it. All in all, I love this tourmaline straightening brush for a more natural look. I find that my hair looks like I just had a blowout and doesn't feel limp and flat like it would with a flat iron. The downside of this is that my rebellious hair starts to frizz and curl again much sooner than it would with a regular flat iron. Check out the brush here. 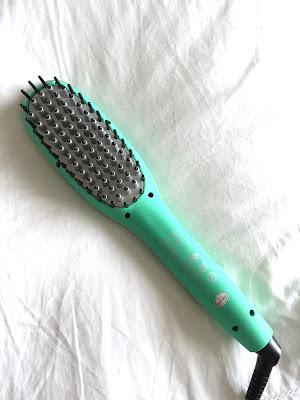 I'm curious, would you give a hair straightening brush a try? Or stick to your tried and true flat iron?